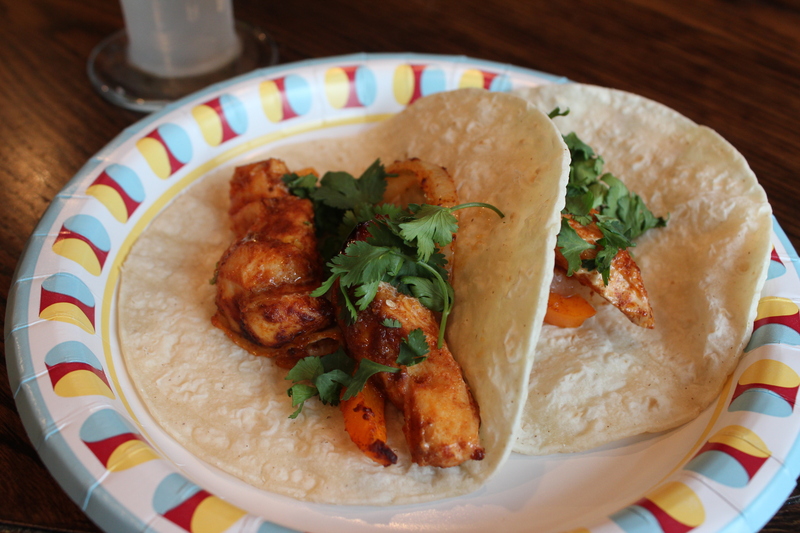 If you are looking for a fast and extremely flavorful weeknight meal try these oven baked fajitas. The ingredients are probably stuff that you already have in your kitchen which is another bonus. 1. Preheat oven to 400 degrees. 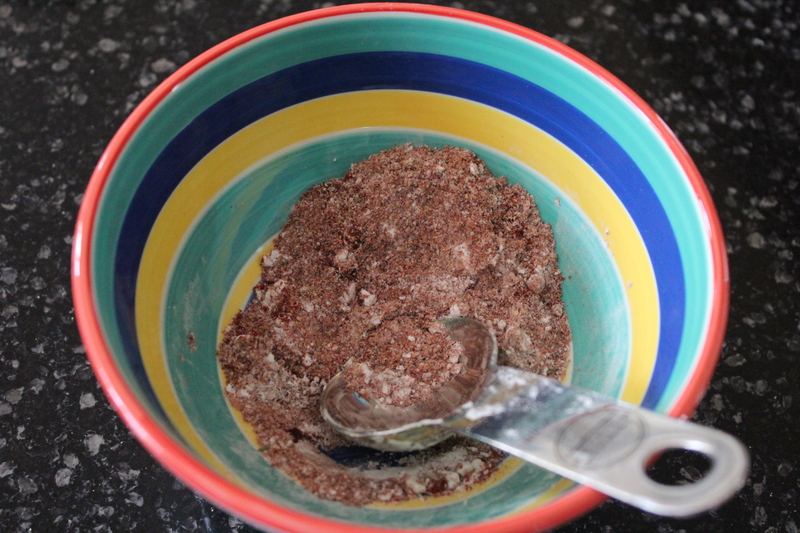 Mix all ingredients for fajita seasoning in a small bowl and set aside. 2. Cut the onion and peppers into strips and place into a rectangular 9×13 inch casserole dish. 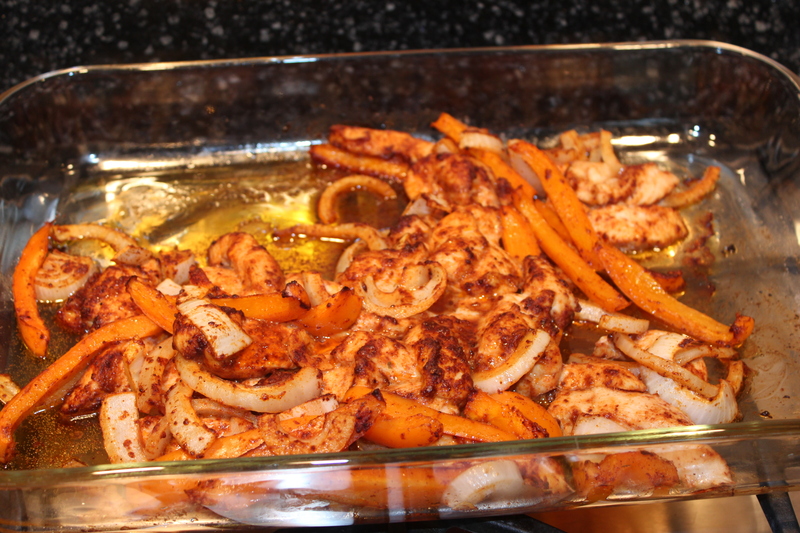 You can see I didn’t have any green or red bell peppers so orange it is for tonight! This recipe is very flexible in terms of that as you can add as much or as little as you’d like for the vegetables. 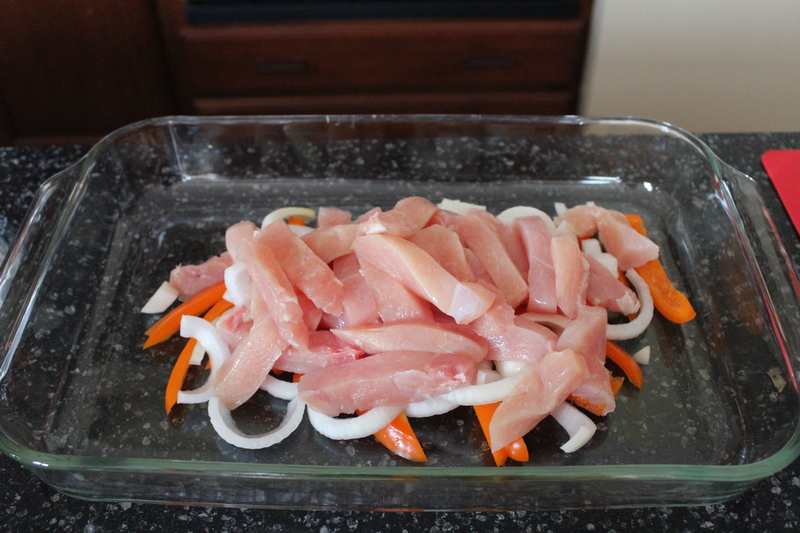 Slice the chicken into thin strips and add to casserole dish. 3. Sprinkle seasoning over vegetables and chicken. Drizzle oil and toss with tongs to coat all ingredients. Bake in oven for 35-40 minutes, stirring once halfway through. Squeeze juice from lime over the top after you take it out from the oven. 4. 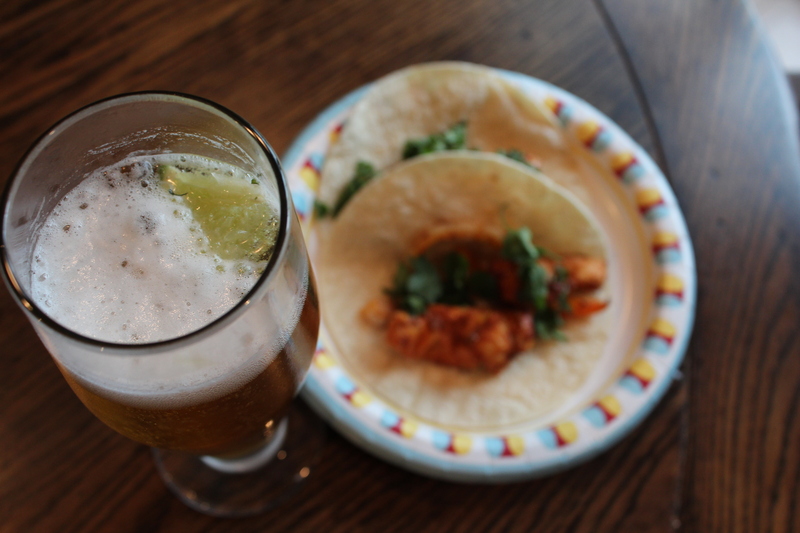 Serve on a paper plate with warm tortillas and top with cilantro, sour cream or anything else that you require on your fajita. (May I suggest drinking a cold beer with it too?) A tu salud! Made it last night! Didn’t have ANY peppers 😦 but used some other veggies instead. The flavor was really ‘yummy!’ 🙂 Thanks for the ideas!